After waiting several weeks for our furniture our custom La-z-Boy pieces have arrived. Well sorta… Ottoman comes in 2 weeks! 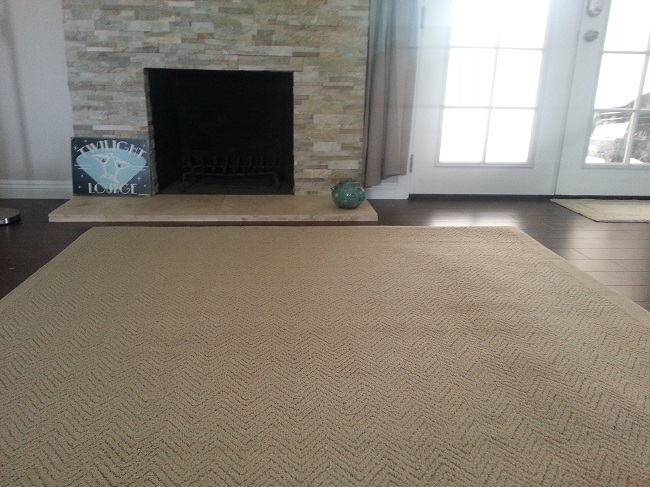 Before we placed the furniture we laid down a 5′x8′ area rug. 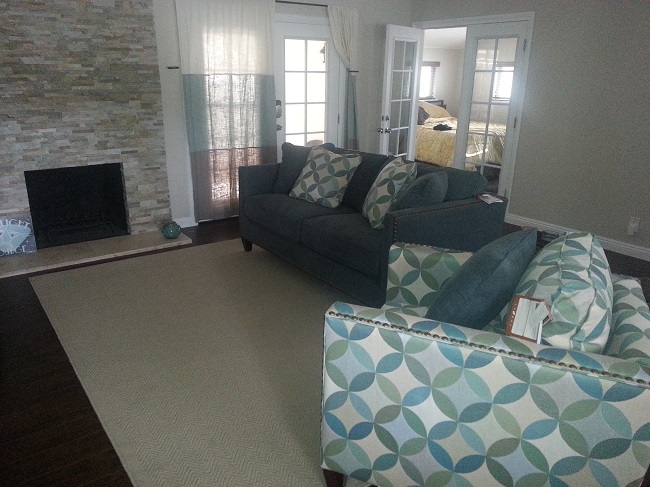 I was surprised to discover how expensive area rugs are even at places like Target where a rug can run $150 or more. 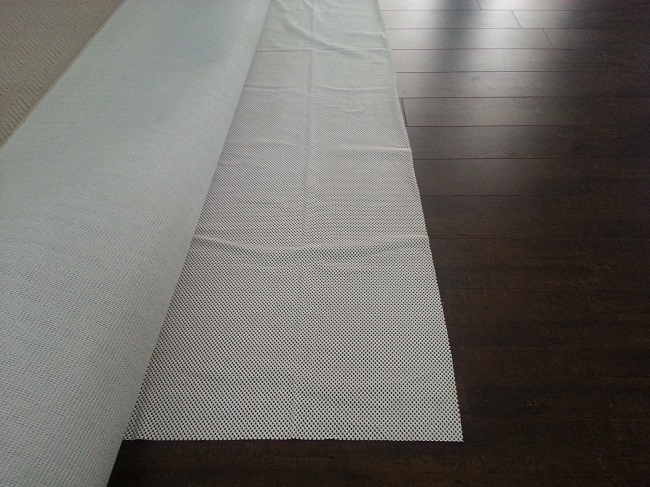 I was lucky to score the rug below on clearance for $60 because the packaging was defective! 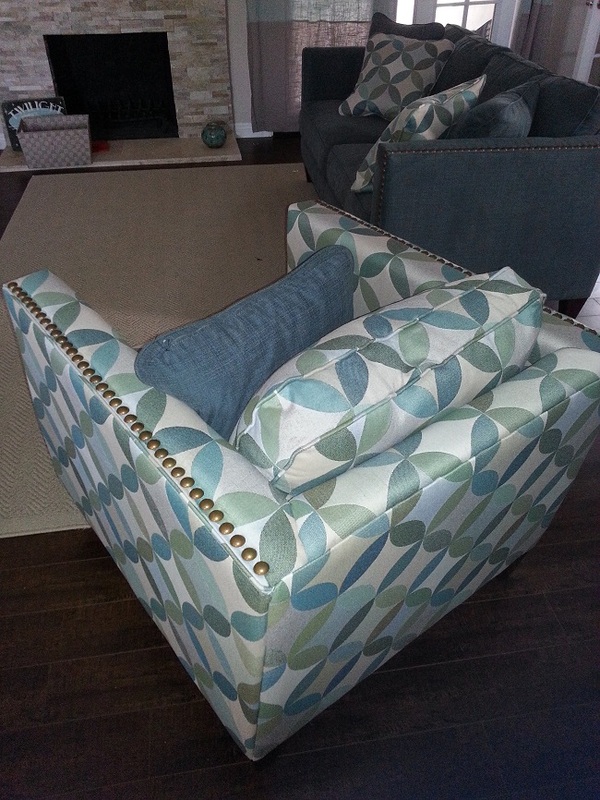 We only received the sofa and statement chair the matching ottoman arrives in a few more weeks. Don’t worry… Those curtains are on their way out. We purchased them before the furniture and they are just waaaayyy to matchy matchy..
We went with the copper studs to warm up the cool colors in the furniture. The copper will also bring together and be cohesive with wood living room furniture. This entry was posted in Hillary's Home Decor and tagged La Z Boy, ottoman, sofa, studded furniture, Target on July 30, 2013 by Hillary. The Fashion Spot hosted a swimwear fashion show this past weekend at the W Hotel in Hollywood. Guest hung out pool side with a view of Hollywood, sipped cocktails and enjoyed a fabulous fashion show. The event was co-hosted by Hawaiian Tropic and I was dying to take one of these super fun beach balls home with me! Since this wasn’t a full on pool party – I decided to wear my favorite neon bikini and stylish cover – up. River Island Bikini, tye dye shorts, Marc by Marc Jacobs bag, Toms sunglasses, Target wedges, Forever21 hat and blouse. I had a little fun with the colorful bracelet stacking – hell I even wrapped a few and made an anklet! This entry was posted in Events, Hillary's Closet and tagged forever21, Hawaiian Tropic, River Island, Target, The Fashion Spot, Toms on May 8, 2012 by Hillary.